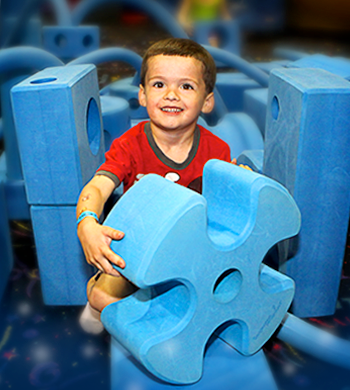 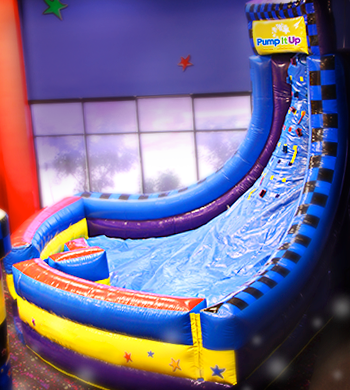 Race your friends through our Chaos Obstacle Course and see who can be the first down the 20' slide! 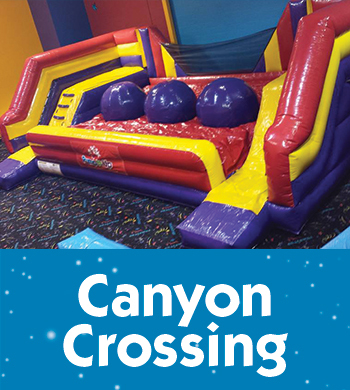 Great for team building events. 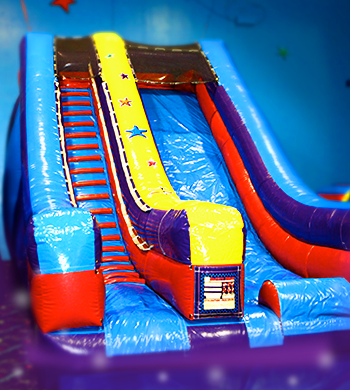 Climb this 20' slide and have the ride of your life! 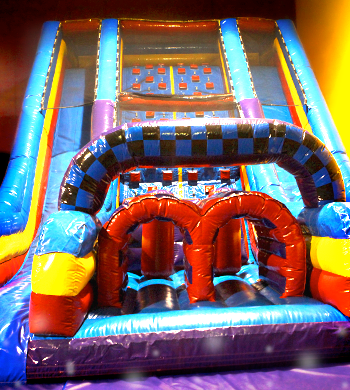 Jump on this huge Bouncer with your friends and chellenge them to some jousting or boxing with our fun accessories. 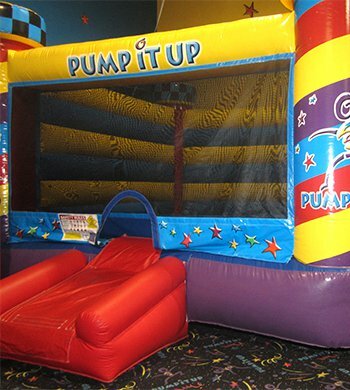 This inflatable is fun for all ages. 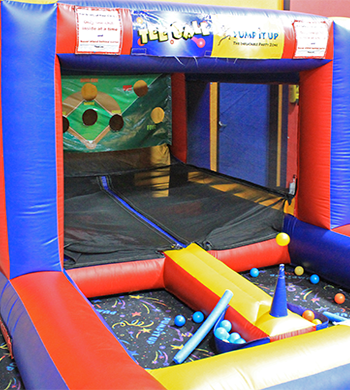 Watch the ball as it floats in mid air and try to hit a home run. 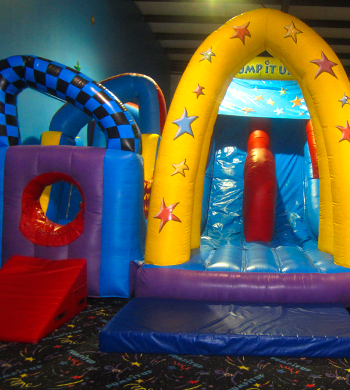 Our inflatables don't end in our jump areas. 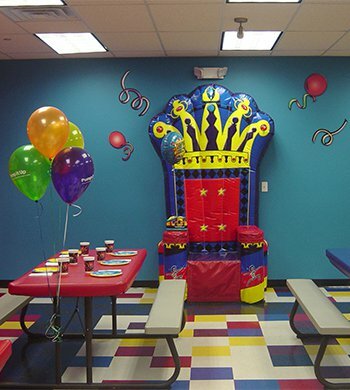 Each of our Party Rooms has a Giant Throne which inflates for the Guest of Honor to sit on. 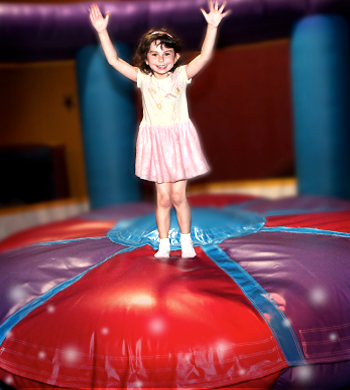 Great photo opportunity while the Guest of Honor blows out his/her birthday candles! 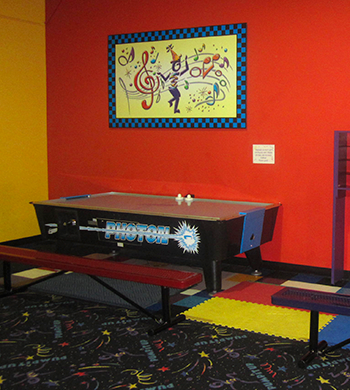 Each of our jump areas has an Air Hockey machine. 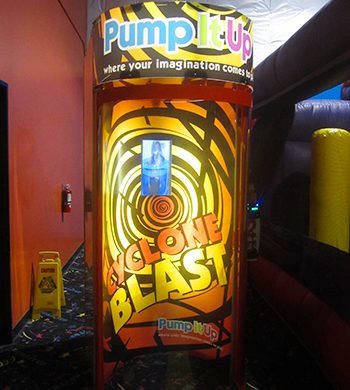 The one in Arena B also glows when you're having a Glow Party!